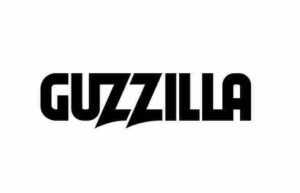 On June 12, 2018, the Japan IP High Court denied the JPO Trial Board decision and sided with TOHO Co., Ltd., a Japanese filmmaker that unleashed Godzilla on the world, in a trademark dispute between GODZILLA and GUZZILLA. TOHO Co., Ltd., the top and oldest Japanese filmmaker, is known worldwide for unleashing Godzilla in 1954. Godzilla, known as the King of the Monsters, is a giant irradiated prehistoric amphibious reptile appearing in the films produced by TOHO. TOHO has produced more than 20 Godzilla flicks, including 1999’s Godzilla 2000: Millennium, and 2014’s GODZILLA. Taguchi Industrial Co., Ltd., a Japanese manufacturer of attachments for construction machinery, filed an trademark application for the “GUZZILLA” mark (see below) in November 21, 2011 by designating mining machines, construction machines, loading-unloading machines, agricultural machines, waste compacting machines, waste crushing machines in class 7. JPO registered the mark on April 27, 2012. On February 22, 2017, two months before a lapse of five years from the registration, TOHO requested for invalidation trial based on Article 4(1)(xv) of the Trademark Law and asserted relevant consumers or traders are likely to confuse or misconceive a source of the “GUZZILLA” mark with TOHO or a business entity systematically or economically connected with TOHO when used on designated goods in class 7 due to close resemblance between “GUZZILLA” and “GODZILLA”. Article 4(1)(xv) provides that a mark shall not be registered where it is likely to cause confusion with other business entity’s well-known goods or services, to the benefit of brand owner and users’ benefits. The Trial Board admitted a high degree of popularity and reputation of “GODZILLA” as a name of monster appeared in films produced by TOHO, however, the invalidation trial was totally dismissed since the Board found no likelihood of confusion in view of remote association between TOHO’s business and designated goods in class 7 (Trial case no. 2017-890010). To contest the decision, TOHO appealed to the IP High Court. IP High Court set aside the decision and ruled in favor of TOHO. In the ruling, the Court pointed out a fact that designated goods in question include pneumatic jacks, electric jacks, chain blocks, winches, mowing machines, and hedge trimmers. These goods have a certain degree of association with toys or groceries of TOHO’s interest in the aspect of use, objective and consumer. Besides, relevant consumers of goods in question rely on not only quality and function of goods but also goodwill in trademark at the time of purchasing such goods. If so, the Court finds that, by taking into consideration famousness and originality of “GODZILLA” as a source indicator of TOHO’s business as well as close resemblance of both marks, relevant consumers of above goods (class 7) designated under the “GUZZILLA” mark are likely to associate the goods with “GODZILLA” and thus confuse its source with TOHO or a business entity systematically or economically connected with TOHO. 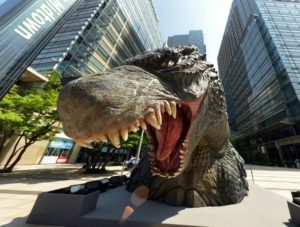 Court also held that a well-known “GODZILLA” mark gives rise to a meaning of imaginary giant monster in films and an image of strength by means of the monster’s action devastating city and buildings. Inter alia, purchasers of pneumatic jacks in question are likely to receive an incentive to buy “GODZILLA” in anticipation of strong performance of the jacks as GODZILLA did. Based on the foregoing, the court decided invalidation of “GUZZILLA” trademark registration based on Article 4(1)(xv). Posted on 2018年6月23日 by Masaki MIKAMI in Article 4(1)(xv), Famous mark, Invalidation, Likelihood of confusion and tagged Article 4(1)(xv), GODZILLA, GUZZILLA, Invalidation action, IP High Court, Likelihood of confusion. 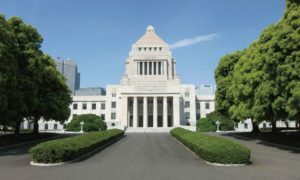 The Japan Trademark Law Revision Act of 2018 (Act No. 33) passing congress on May 23, 2018, was promulgated on May 30 and becomes effective on June 9, 2018. Revision act sets a high bar for requisite in dividing a trademark application under Article 10 (1) of the Trademark Law. Dividing trademark application is beneficial to applicant who wants to maintain a prior-application right for every goods/services designated under initial application because division admits divided application to have retroactive effect as if it was filed on the same date with initial application. Currently, applicant is allowed to divide trademark application as long as the application satisfies following requirements. Parent application deletes the divided goods/services from designation simultaneously at the time of filing Child application. From June 9, 2018, in addition to the above, applicant is required to pay an official fee of Parent application. Where applicant divides trademark application without paying official fee imposed on Parent application, the Japan Patent Office (JPO) does not allow retroactive effect to Child application. Namely, Child application is examined for registrability based on its actual filing date. JPO decided to revise the article to prevent an entity with fraudulent intent from repeatedly dividing trademark application regardless of non-payment of official fee. Posted on 2018年6月17日 by Masaki MIKAMI in Division of trademark application, New Trademark Law and tagged Article 10(1), Division of trademark application, Japan Patent Office, Japan Trademark. Apple Inc. has won a trademark opposition it lodged against GIGAZONE INTERNATIONAL CO., LTD., a Taiwanese company, over Japanese trademark registration no. 5877027 for word mark “MacEdge”. 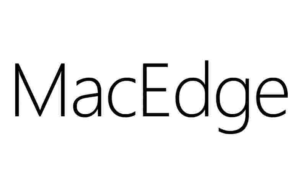 Opposed mark “MacEdge” (see below) was applied for trademark registration in Japan on March 10, 2016 by designating several accessories of computers in class 9. The Japan Patent Office (JPO) admitted registration of the mark on August 8, 2016 and published the gazette under trademark registration no. 5877027 on September 27, 2016. In an opposition, Apple Inc. argued opposed mark violates Article 4(1)(xi) of the Japan Trademark Law based on famous Apple “Mac” computer and operating system which have been continuously distributed under various trademarks, e.g. MacBook, MacBook Air, MacBook Pro, iMac, Mac Pro, Mac mini, mac OS, Mac OS X, since 1984. 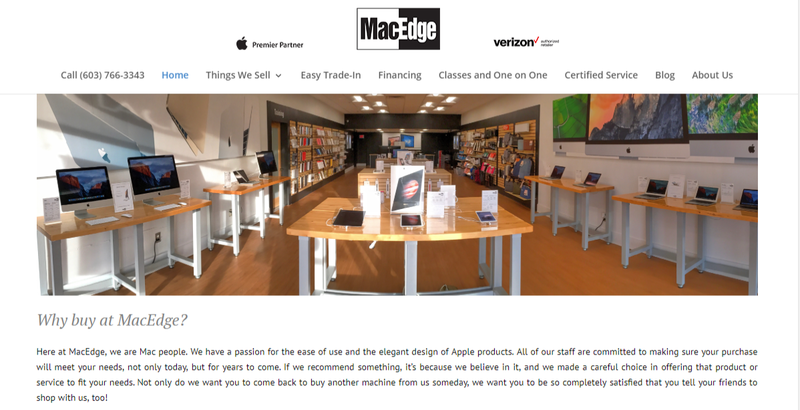 Apple Inc. pointed that MacEdge website operated by the opposed party (see below) is likely to cause confusion with opponent since the front page looks similar to that of Apple’s website and it refers to opponent products. The Opposition Board admitted a high degree of reputation and popularity of opponent trademark “Mac” in the field of personal computers. In the assessment of mark similarity, the Board found “MacEdge” could be perceived as a combination of “Mac” and “Edge” because of two capital letters of “M” and “E”. 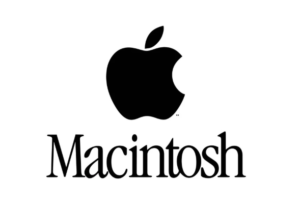 As long as the “Mac” trademark becomes famous as a source indicator of Apple Inc. in the field of personal computers, relevant consumers are likely to connect opposed mark with opponent since the term “Mac” in opposed mark is almost identical with Apple “Mac” trademark. In the meantime, the term “Edge”, a common English word, is less distinctive and does not give rise to any specific meaning in combination with “Mac”. Based on the foregoing, the Board decided that relevant consumers who purchase accessories of computers are likely to confuse or misconceive a source of the opposed mark with Apple Inc. or any entity systematically or economically connected with the opponent. If so, opposed mark shall be cancelled in violation Article 4(1)(xv) of the trademark law. Posted on 2018年6月10日 by Masaki MIKAMI in abbreviation, alphabetical name, Article 4(1)(xv), Composite mark, Famous mark, Likelihood of confusion, Opposition, similarity of goods and tagged Apple Inc, Article 4(1)(xv), Likelihood of confusion, Mac, MacEdge, trademark opposition. Mitsubishi Electric Corporation first developed the spiral escalator in 1985, and has been the world’s first and sole manufacturer of spiral escalators. Spiral escalator is a special design type of escalator in the form of a spiral/helical with curved steps. 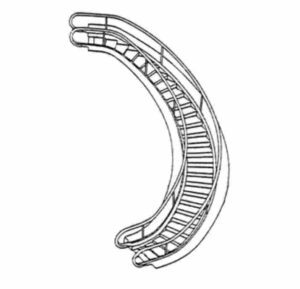 On May 3, 2016, Mitsubishi Electric filed a trademark application for 3D shape of spiral escalator (see below) by designating escalators in class 7 to the JPO [TM application no. 2016-23374]. The JPO examiner totally refused the application based on Article 3(1)(iii) of the Japan Trademark Law stating that the applied mark can be easily seen as a 3D shape of escalator and the shape does solely consist of a common configuration to achieve the basic function of escalator. If so, the applied mark lacks distinctiveness as a source indicator. To dispute the refusal, Mitsubishi Electric filed an appeal on May 12, 2017. 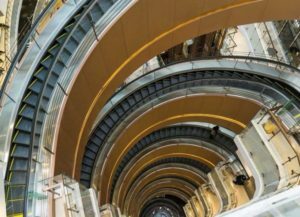 The Appeal Board, however, upheld the examiner’s decision on the ground and dismissed Mitsubishi’s allegation by stating that relevant consumers and traders shall conceive of an escalator designed to enhance its function or sensuousness at the sight of applied mark. Mitsubishi Electric also argued that even if the applied mark is deemed descriptive in relation to escalators, it shall be registrable based on Article 3(2) due to acquired distinctiveness of the mark because Mitsubishi Electric Spiral Escalators has achieved 100 % market share in the world and continuously used the 3D shape on escalators for more than three decades. Article 3(2) is a provision to allow registration of applied mark if, as a result of substantial use of the mark in fact, consumers are able to connect the mark with a source indicator of designated goods or services. Under the totality of the circumstances, the Appeal Board dismissed the allegation as well. The Board found that regardless of 100 % market share in the category of spiral escalators, Mitsubishi Electric’s domestic supply record of 24 units in the last thirty years shall be a trivial quantity in comparison with total number of escalators in operation. Besides, questionnaire result rather shows a source of the applied mark is unknown to more than 60% of the questionee. Based on the foregoing, the Board questioned whether applied mark has acquired distinctiveness through actual use in relation to escalators and consequently refused to register the mark based on Article 3(1)(iii) and 3(2) of the Trademark Law. Posted on 2018年6月3日 by Masaki MIKAMI in Acquired distinctiveness, Article 3(1)(3), Article 3(2), examination, Three dimensional mark and tagged acquired distinctiveness, Article 3(1)(iii), Article 3(2), Descriptive, Mitsubishi Electric, Spiral escalator.